I was shopping one day when I spotted bargain-priced school tracksuit pants. Like my sons, my nephew wears out school pants quickly so I called my sister-in-law to see if she wanted some for him as well. “Do they have cuffs on the bottom?” she asked. The pants did have cuffs. “Well unfortunately they won’t ‘feel’ right so I’ll have to pass.” My nephew has Asperger’s and so clothes have to fit and feel a very particular way to be comfortable for him, making clothes shopping very difficult. Jessica Ralli is the creator of Soft. Soft is a clothing range for children with sensory sensitivity, a common symptom of Autism, Aspergers and Sensory Processing Disorder (SPD). Before designing clothing, Ralli worked as a special education teacher. Working with children with Autism and SPD, Ralli noticed the discomfort and the distraction that clothes were causing her students and she set about finding stylish clothes for children that weren’t stiff, tight, scratchy or itchy – basically anything with a tag or an overlocked, exposed seam was out. Her search proved fruitless and Soft was born. The Soft range is made from densely knitted cotton jersey or fleece that is bio-washed, making it incredibly smooth and less likely to pill. There are no zips, no labels and no bulky seams. Washing instructions are printed on the clothes and seams are all sewn flat. 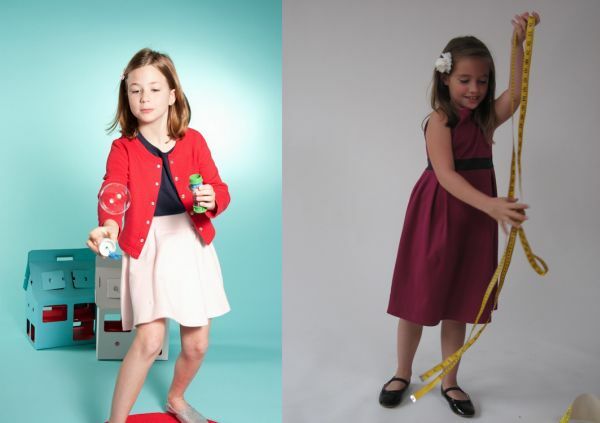 Necklines are bigger so that the garments are easy to put on and don’t ‘grip’ and details like buttons, zippers, ties, pockets and belts are photo-realistic prints, clever stitching and special poppers to maximise comfort and still allow kids to feel ‘dressed-up’. For example, the range includes fleecy trousers that look like classic chinos or jeans yet have stitching where the pockets and zip would normally be. A party dress for girls features a ‘sash’ around the middle which is actually a ribbon of contrasting jersey fabric sewn into the dress. 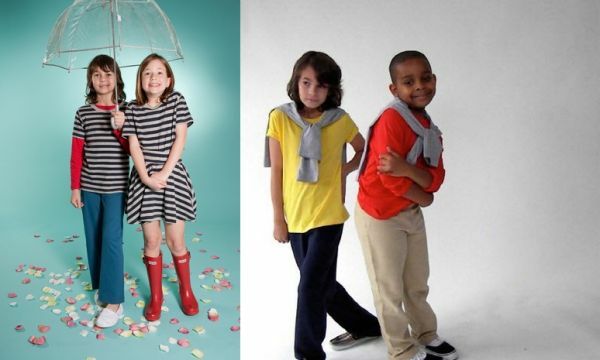 The Soft range is expanding this year to include seamless socks (wow, all kids will want those), sensory toys, accessories and more fashion pieces for spring and summer, including terrific sailor pants with printed buttons. Pieces from the Soft collection begin at $15 for basic t-shirts and range up to $35 for jeans. Soft is available in Australia through Seams Away.